From left, TTUSD Board Clerk Gaylan Larson, TTUSD Sustainability and Project Supervisor Anna Klovstad, TDPUD Program Manager Lauren Schaake-Hudson and TTUSD Superintendent Chief Learning Officer Rob Leri. 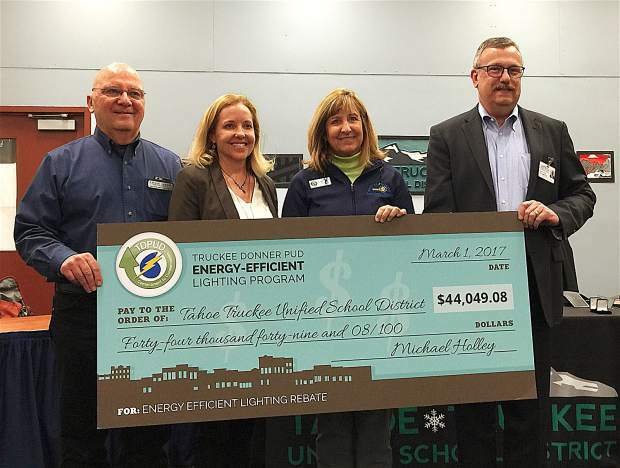 TRUCKEE, Calif. — The Truckee Donner Public Utility District recently awarded the Tahoe Truckee Unified School District $44,049.08 in energy efficiency rebates to support school projects. TTUSD celebrated this rebate with a check presentation at their March 1 Board of Education meeting. 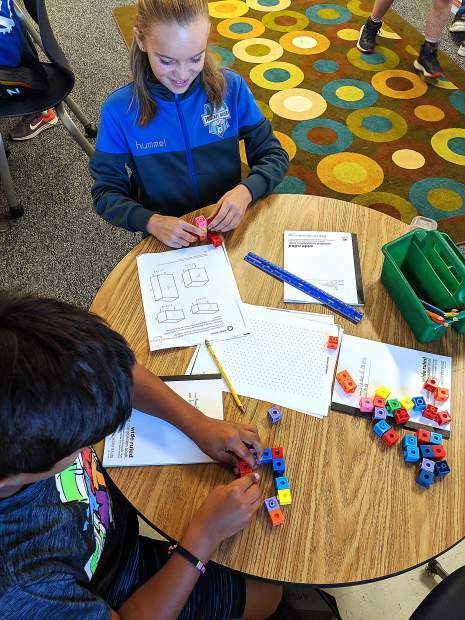 The TDPUD’s rebate, combined with the Proposition 39 funds, allowed TTUSD to replace more than 500 fluorescent light fixtures with LED EvoKit fixtures that include SpaceWise controls and use 45 percent less energy than the traditional fluorescent fixtures. The SpaceWise technologies — that include daylight harvesting, motion sensing and dimming controls — save TTUSD an additional 17 percent by using only power that is needed. The school district expects an $8,884 annual savings in electrical use for the 20-year life from these upgraded light fixtures. This article was provided on behalf of the Truckee Donner Public Utility District. To find out more about the TDPUD’s conservation rebates and programs, go to http://www.tdpud.org.